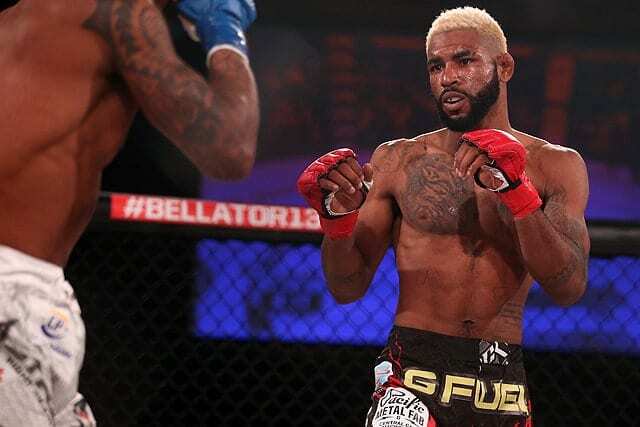 An eventful Bellator 143 went down last night (Friday September 25, 2015) with a headlining bout between Joe Warren and LC Davis at the top of the card. As well as some memorable finishes and exciting barn burners, the biggest promotion outside the UFC once again had their fair share of bloopers and funnies. In a format we are slowly becoming more accustomed to, BMMA often proves to have quite a high entertainment value in both scraps and outside the cage action. Joe Warren managed to decision LC Davis, but there was a lot more slick submissions, knockouts and floored camera women to have giggles at. Our good buddy Zombie Prophet provides the GIF and Vine highlights of the evening’s business, read the full results and recap here.